Personally, I thought Rick Baker killed it on the Maleficent makeup. The exaggerated cheek bones and twisty horns were choice. But check out the other ideas for Angelina Jolie's villain origin story — she could have looked like a Sith! Badass. 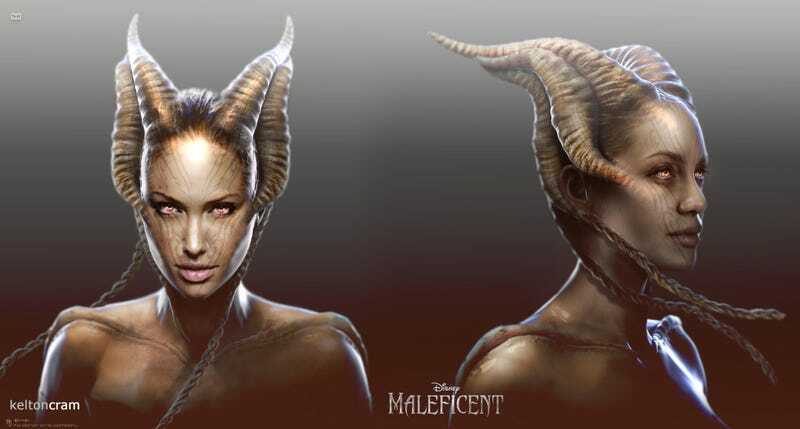 Conceptual illustrator Kelton Cram just released a whole bunch of concept art over at Comic Book Movie, including some of Jolie's early Maleficent designs. They are bonkers. I'm pretty happy with what we got, but the leathery wings could have been pretty diabolical. More fairy and creature art from Maleficent over at Comic Book Movies.